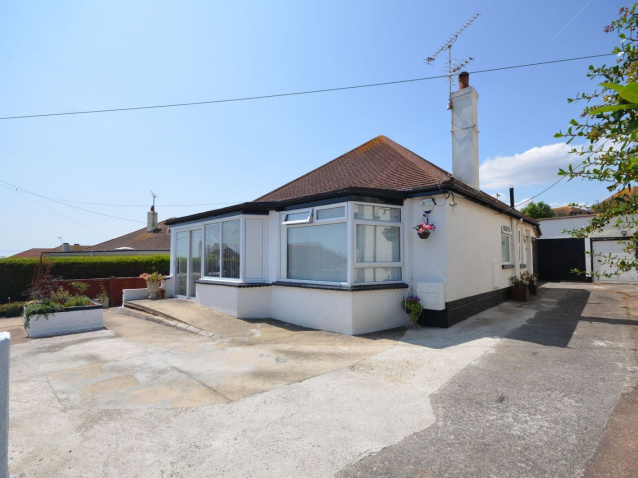 Offered to the market CHAIN FREE is this three bedroom detached bungalow which has been subject to a program of refurbishment, with spacious living accommodation in a sought after residential area of Dawlish within close proximity to leisure centre, shops, amenities and bus stop. ACCESS : Shared driveway leads up to the side of the property and GARAGE. 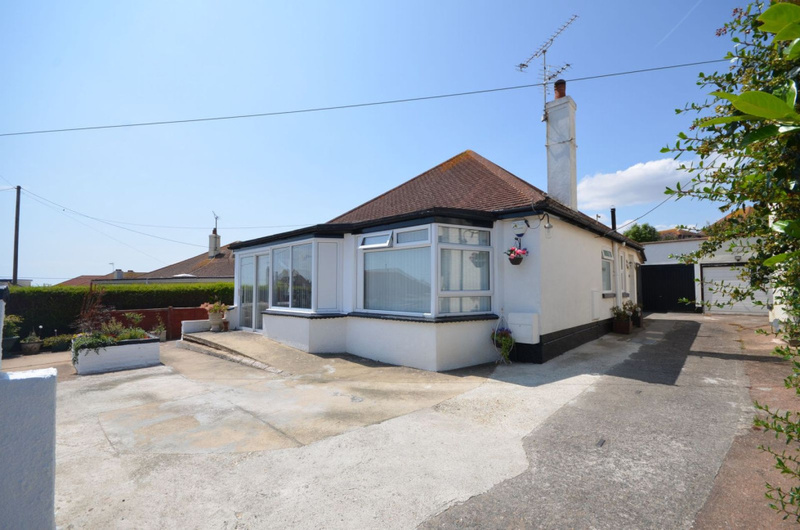 To the front of the bungalow is a low maintenance hardstanding with a raised bed and access through to the rear. Obscure uPVC double glazed front door into open plan kitchen/diner. 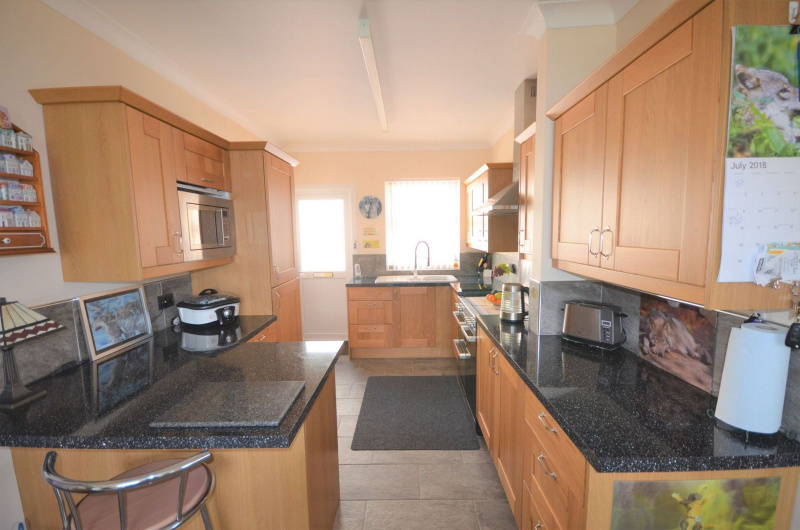 KITCHEN AREA : 3.74m x 2.64m (12'3" x 8'8") , Side aspect uPVC double glazed window, matching wall and base units with granite effect work surfaces over incorporating a breakfast bar area, ceramic one and a half bowl sink and drainer with mixer tap, integrated washing machine, integrated fridge freezer and cupboard housing the gas boiler. 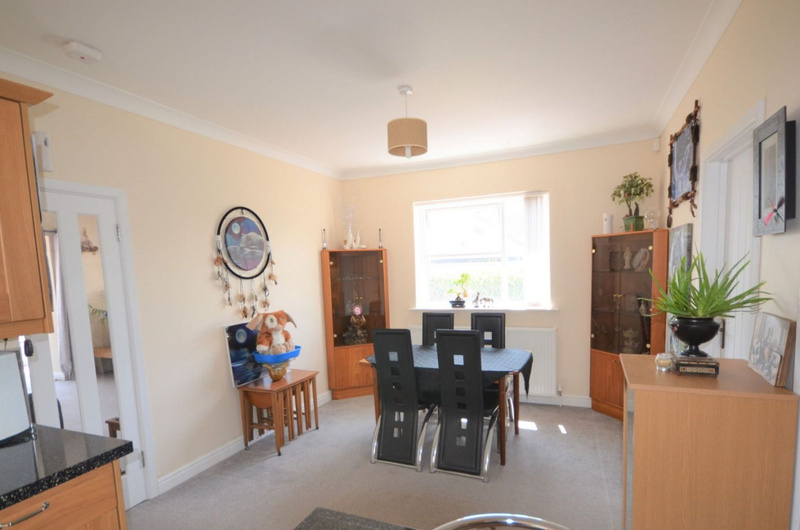 DINING AREA : 3.61m x 3.32m (11'10" x 10'11") , Side aspect uPVC double glazed window, space for dining room table, radiator and part glazed door to living room. 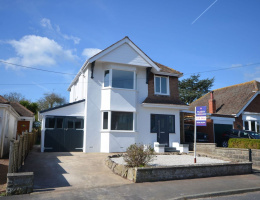 LIVING ROOM : 6.32m x 3.63m (20'9" x 11'11") Maximum , Dual aspect with uPVC double glazed bay window overlooking the front of the property and out to two sides with far reaching sea views. 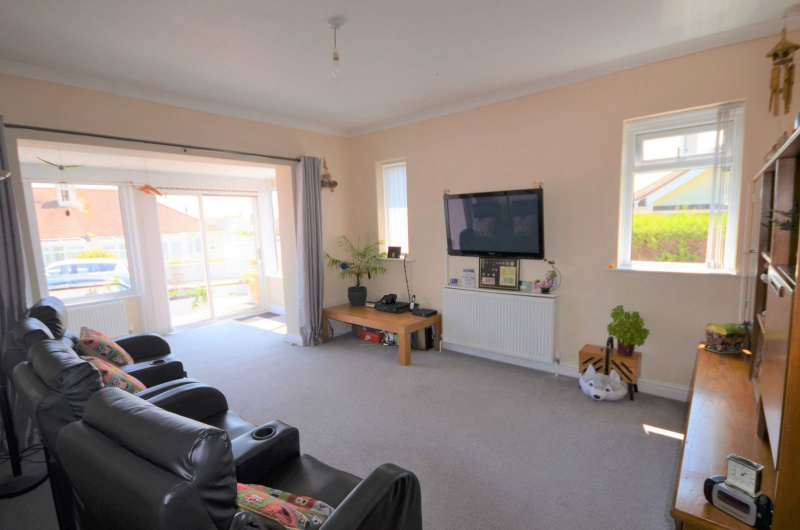 Two radiators, storage cupboard, television point and two further uPVC double glazed windows to the side. 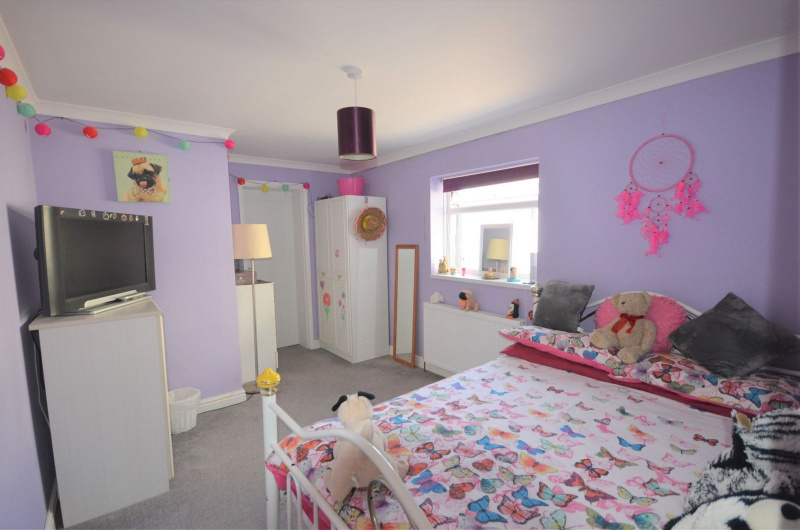 BEDROOM 1 : 4.84m Into bay x 3.18m (15'11" x 10'5") , Bright and spacious room with front aspect uPVC double glazed bay window, two built in wardrobes and radiator. 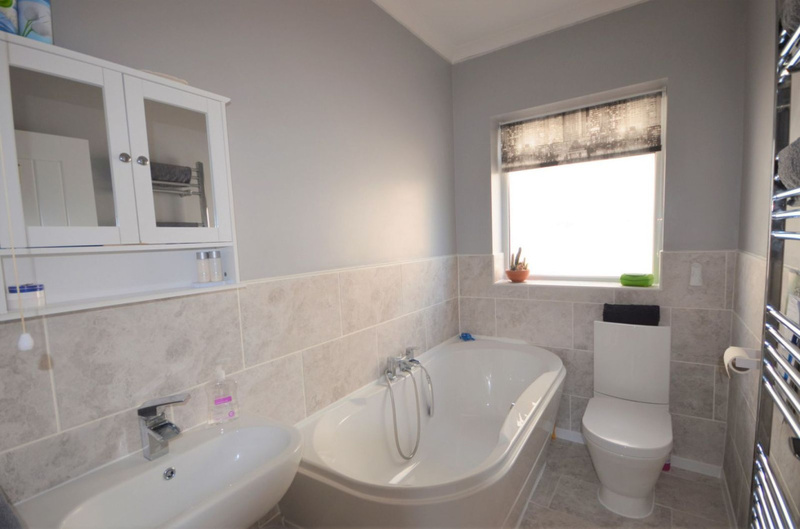 FAMILY BATHROOM : White suite conmprising panelled bath with shower mixer tap, close coupled WC, pedestal wash hand basin, ladder style heated towel rail, part tiled walls, tiled floor, extractor fan and side aspect obscure uPVC double glazed window. 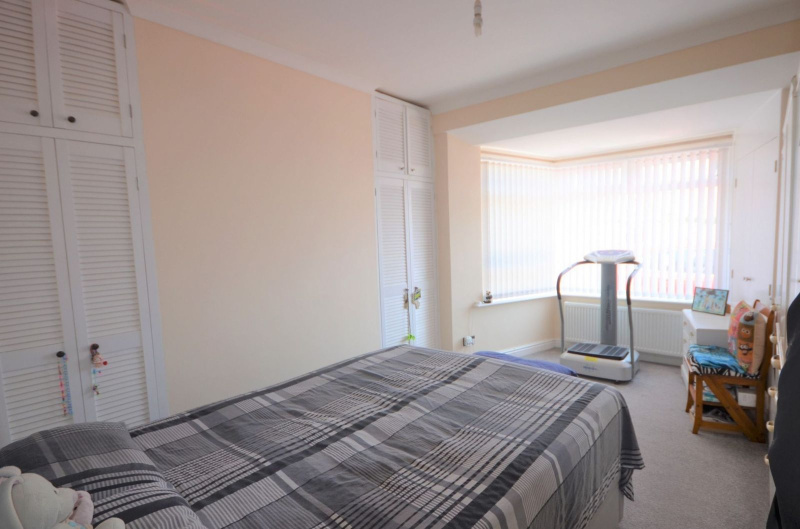 BEDROOM 2 : 4.84m x 2.71m (15'11" x 8'11") Maximum , Two side aspect uPVC double glazed windows, radiator, built in wardrobe, door to study/dressing room. 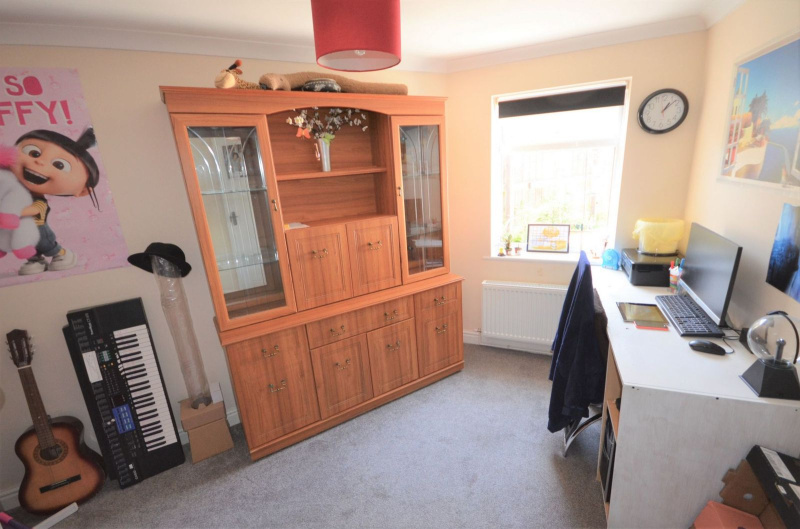 STUDY/DRESSING ROOM : 3.28m x 3.15m (10'9" x 10'4") Approximate , Irregular shaped room with rear aspect uPVC double glazed window, radiator and door to jack and jill shower room. 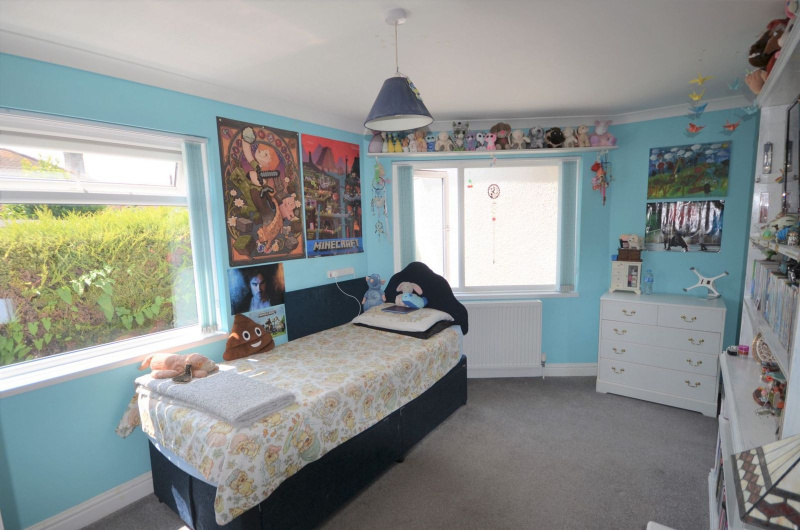 BEDROOM 3 : 4.25m x 2.85m (13'11" x 9'4") Maximum , Front aspect uPVC double glazed window, radiator and door to en-suite/jack and jill shower room. 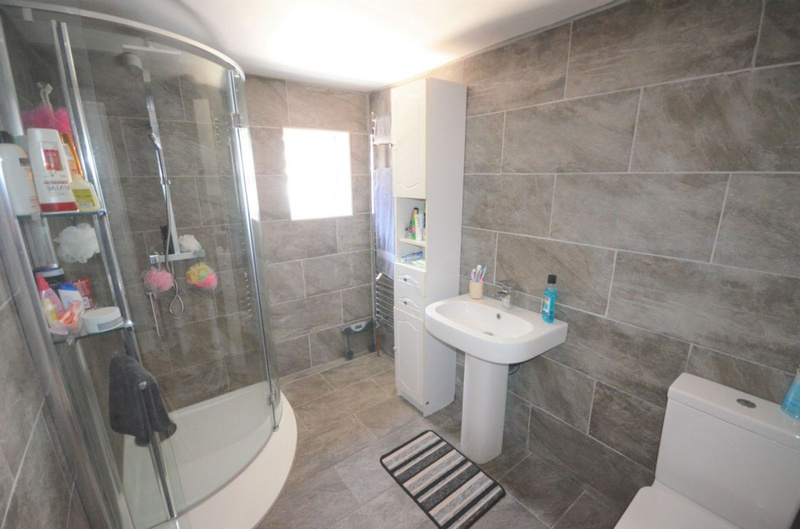 EN SUITE SHOWER ROOM : Fitted with a white suite comprising corner shower cubicle, pedestal wash hand basin, close coupled WC, ladder style heated towel rail, fully tiled walls, tiled floor, extractor fan and rear aspect obscure uPVC double glazed window. 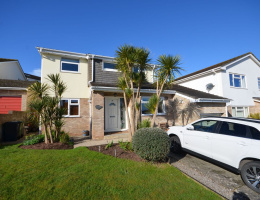 GARAGE : Electric up and over garage door with power and light, uPVC double glazed sliding patio doors into courtyard garden. GARDEN : To the rear of the property is a good size and fully enclosed courtyard garden with raised floral beds and seating areas. 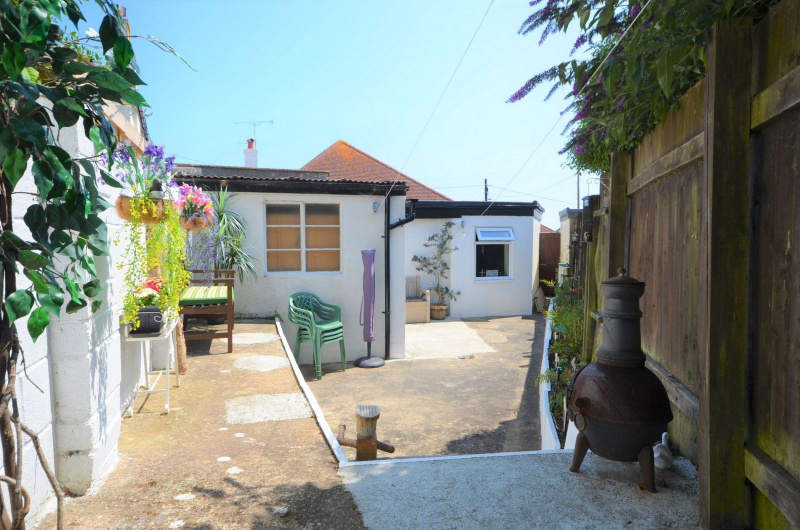 Pathway to the side of the property leads round to the front with hardstanding for off road parking and a large raised flower bed.